Bob was North Carolina’s PGA Player of the Year 7 times. 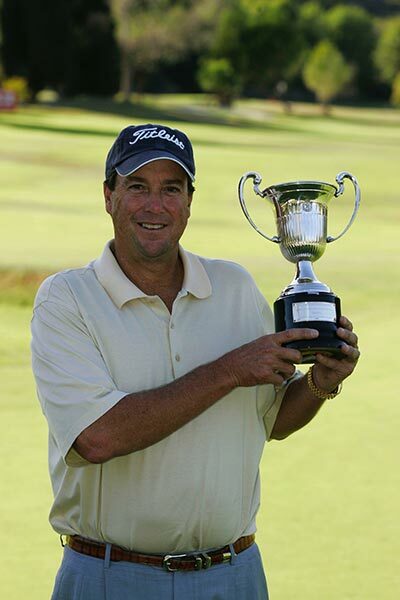 He competed in 20 PGA Professional National Championships, winning the title in 1988 in his home state as well as 4 CPGA Section Championships, 4 Carolina Open Championships, 5 SC Open Championships and 17 CPGA Team Titles. He was a CPGA Hall of Fame inductee in 2008, made 15 top-10 finishes on the European Senior Tour, spent 4 seasons in the top 30 on the Order of Merit on the European Senior Tour and in 2005 was the Open de España Winner. Perhaps one of the most accomplished golfers to ever come out of NC. Bob was a husband, father, brother and a true friend who lost his 5-year battle with Leukemia in early 2011. Best known for his drive to succeed, laser focus, strong drive and accurate iron shots, Bob fought hard on the course and in his battle against Leukemia. The Bob Boyd Invitational is a celebration of his life and the legacy he leaves behind and an honor to the many organizations that helped him along his journey home. Be The Match – The National Bone Marrow Registry (Bob underwent 2 Stem Cell transplants – Both donors were found on the registry), UNC- Lineberger Cancer Research Center, SECU Family House @ UNC (a place of comfort for Bob and Pam), SECU Family House @ New Hanover Regional Medical Center and The Bob Boyd Scholarship at Pine Valley Country Club will all receive donations from this event. When Bob lost his fight, we took it up for him. Friends and family helped to organize the current Bob Boyd Invitational, Inc. as a 501(c)(3) Charity. We are committed to raise monies each year through our Golf and Tennis Events to assist the organizations that helped us fight the fight. As much as Golf helped him in his recovery, so did the wonderful Doctors of UNC-Cancer Hospital, SECU Family House in Chapel Hill and then of course the Bone Marrow Registry. Our number is 45-2421958 should you need it for your records. Please consider getting on the Bone Marrow Registry and becoming a life saving donor as there are still many that are looking for a donor. Simply go to www.marrow.org for more information. If you can not join us this year to play in one of the tournaments, you will be missed but you can still help us by going to the donate page here on the website and be a part of our mission. God Bless and Thank you! !